All rooms are available for hire 7 days a week, during the day and in the evening. Priority is given to community groups, not-for-profit organisations or groups providing activities open to the general public. All rooms are multipurpose with tables and chairs available. The hirer can set up the room in a configuration that best meets their needs. Please note that Communities‍@Work has a no alcohol policy for all room hire. 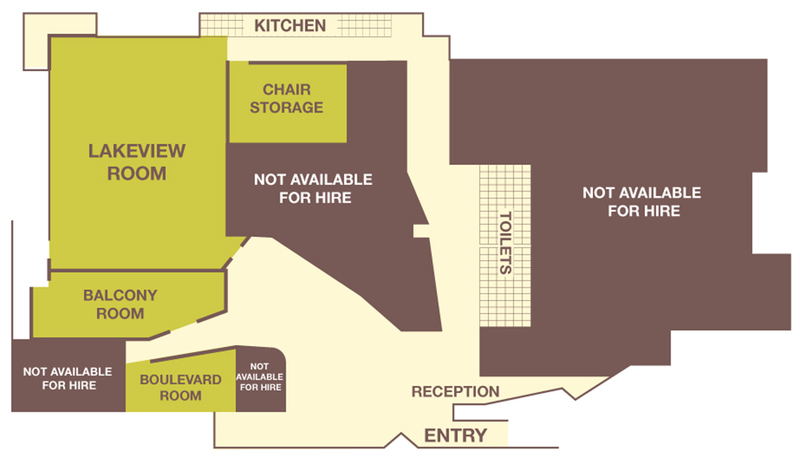 The facilities and floor plan of each centre is detailed below. 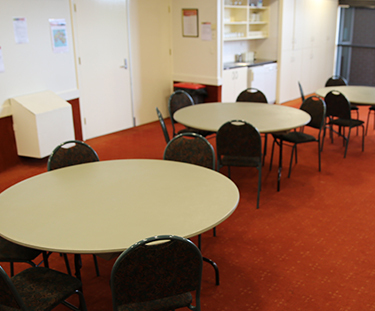 The Gungahlin Community Centre has two meeting rooms available with a capacity of 80 and 20 people respectively. Full kitchen and toilet facilities (including baby change room and disabled toilet) are available and all rooms have wheelchair access. The Tuggeranong Community Centre has a large meeting room, Lakeview, with a capacity of 115 people and a large commercial style kitchen. There are two smaller meeting rooms, the Balcony & Boulevard rooms. Complete and submit the Expression of Interest form below. We will be in contact to confirm your application.